Second-annual Outdoor Research grant program supports programs improving community access to the outdoors. 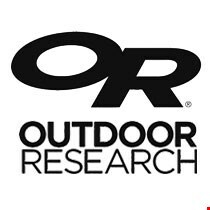 SEATTLE, Wash. (Aug. 21, 2018) – Outdoor Research, the Seattle-based manufacturer of industry leading outdoor apparel and gear, this week awarded its second-annual We Can Grant for $10,000 to The Winnipeg Repair Education and Cycling Hub. WRENCH, as it’s known, is a Canadian non-profit that focuses on empowering cycling, on building healthy communities, and on educating youth to build bike-repair skills, strengthening their knowledge and confidence in the process. The WRENCH provides education, training and resources. Programs include the Earn A Bike workshops, where people who volunteer a few hours are able to co-build a bike, which they then can take home with them for free. Or, the Mellow Velo workshop, an open shop day for women, trans and femme-identifying people to work on their bikes in a space that’s safe for people who might feel marginalized, intimidated and/or unsafe. But those resources cost money and labor. The WRENCH’s overhead is low because they use reclaimed materials and partner with the City of Winnipeg for reduced rent on shop space, according to Patrick Krawec, Managing Director at The WRENCH. Now in its second year, the We Can Grant awards $10,000 annually to individuals or organizations undertaking efforts to improve access to the outdoors on their home turf. Applications for the next cycle can be submitted May 1 to 31, 2019. Outdoor Research has been working behind the scenes for many years to support organizations and programs that advocate from the top down for public lands and public-lands access. The ‘We Can’ Grant Program builds on this concept, but with a grassroots approach. The application process is straightforward. Candidates simply must be affiliated with a non-profit organization that supports a cause tied to public-lands or outdoor access. Applicants can visit www.outdoorresearch.com/wecangrant for more information. The next grant cycle will begin May1st, 2019.